Our event space offers a panoramic view of the golf course, a perfect backdrop for a wedding, reception, party, or class reunion. Tables and chairs are included. 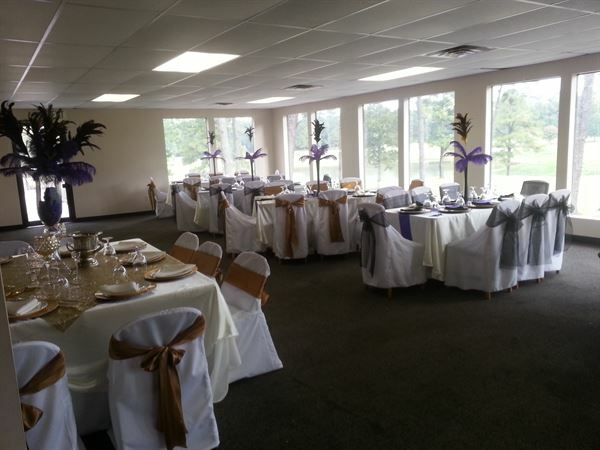 Ballroom rental is $975.00 per day. A $300,00 security deposit is required to reserve your date. The $975 rental fee is due one week prior to your event. If you intend to serve alcohol at your event, you must purchase it from Woodward Golf & Country Club. This is required by State of Alabama law. The event space will accommodate 125 attendees. The outside patio is approximately 52 feet by 39 feet.